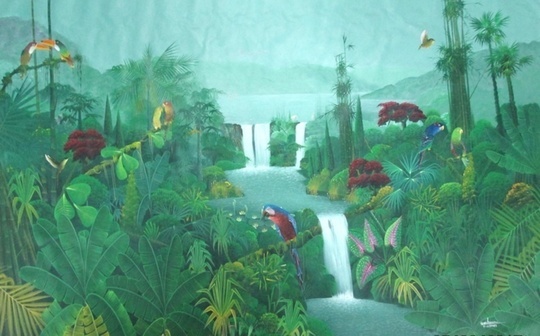 Bonhomme was born by the sea and the tropical forest in northwest Haiti in 1963. 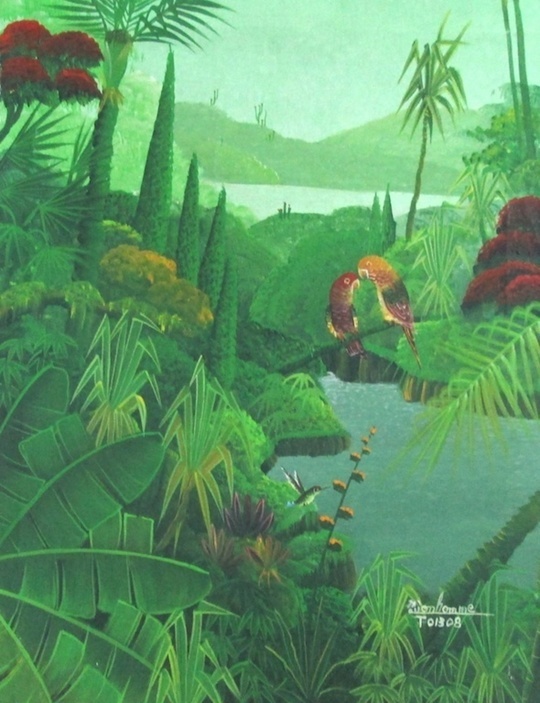 During his childhood he spent a great deal of time fishing and farming with his father, and consequently lived in intense communion with nature. 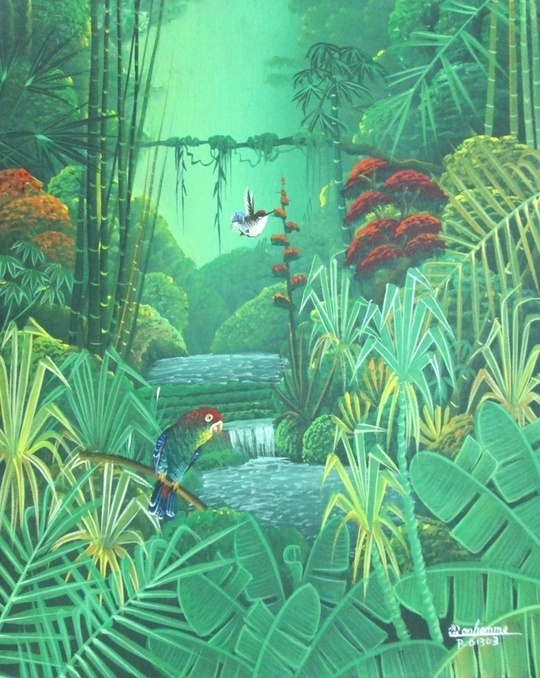 At the age of 12, he developed a passionate interest in painting. 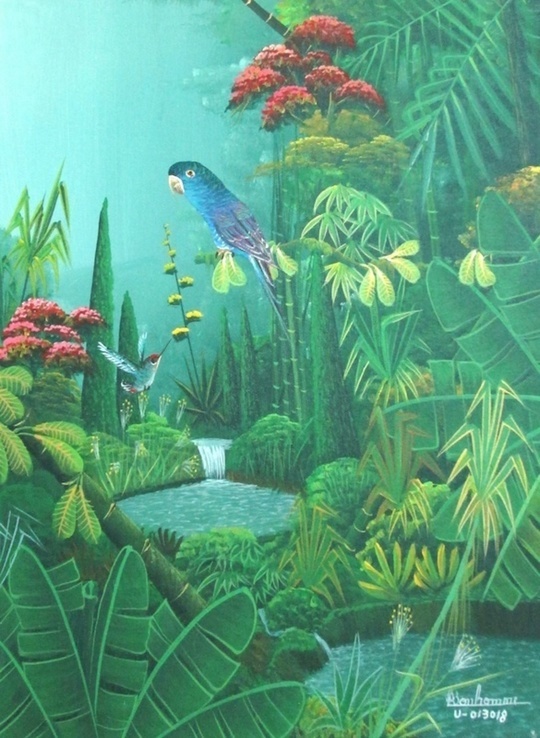 He started to paint marine life and portraits, developing his personal technique by researching calligraphy and cartography. 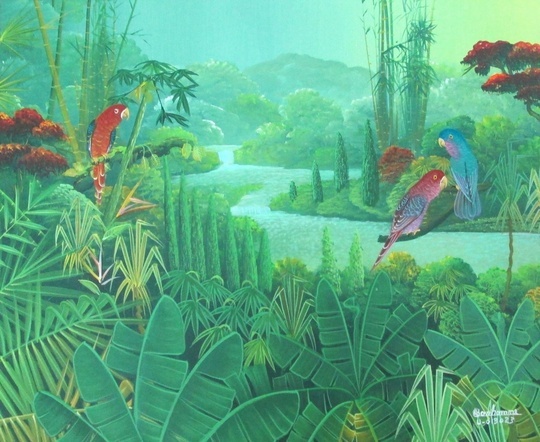 By 1990 his canvases reflected his expertise in the field. 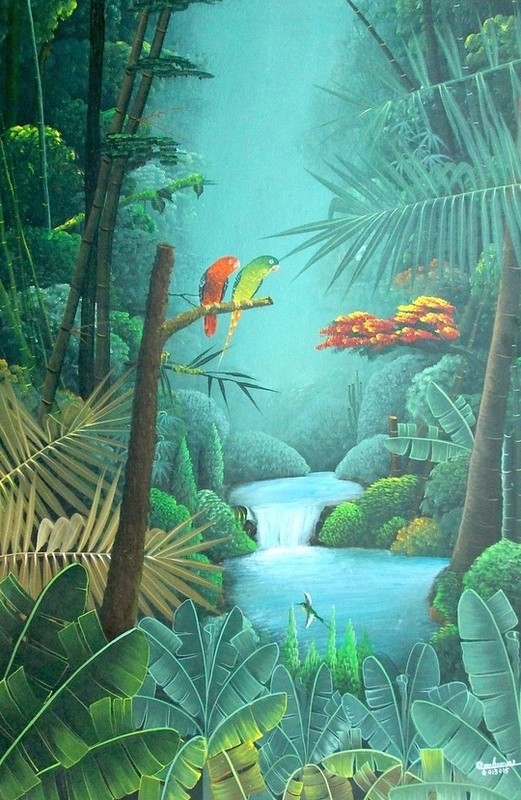 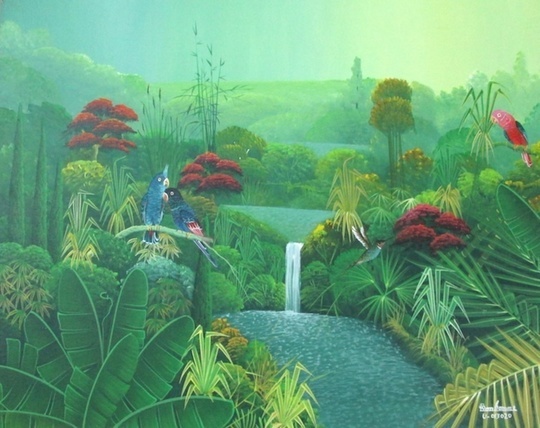 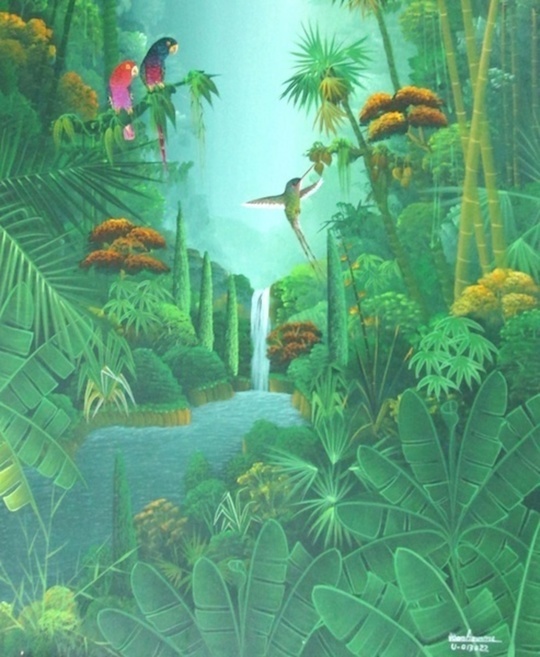 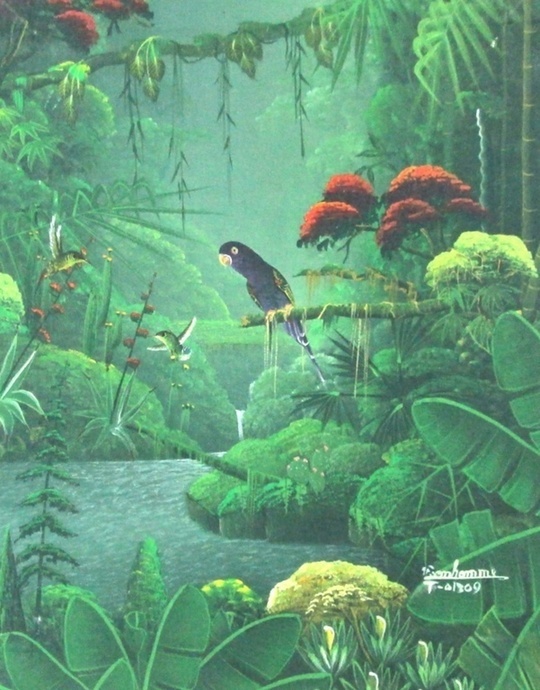 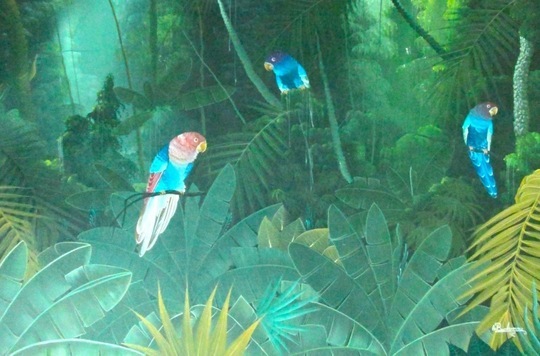 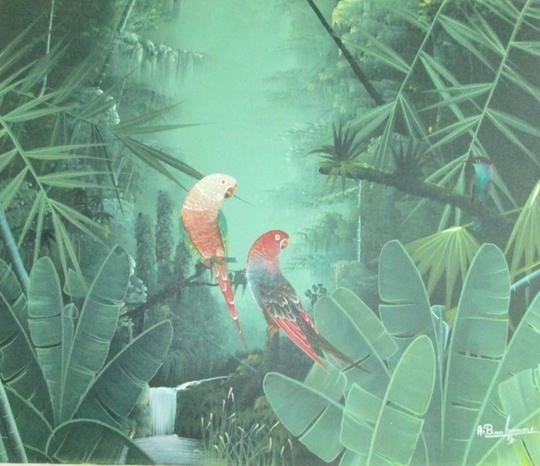 He paints birds in an environment of luxuriant vegetation. 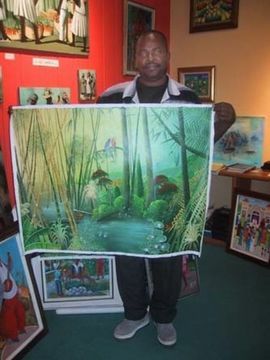 Bonhomme's artwork has been successfully exhibited around the world, especially in Europe, Asia, and the United States.